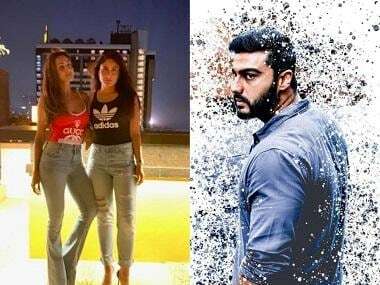 Parineeti Chopra took to Twitter to share a behind-the-scenes picture from her upcoming film Sandeep Aur Pinky Faraar in which she stars opposite Arjun Kapoor. The photo sees the co-stars sitting inside a train and looking through the bars of the window. The last time that this Bollywood pairing was on a train was for their 2012 film Ishaqzaade. Shahid Kapoor, Mira Rajput Kapoor at the reception. Image from News18. 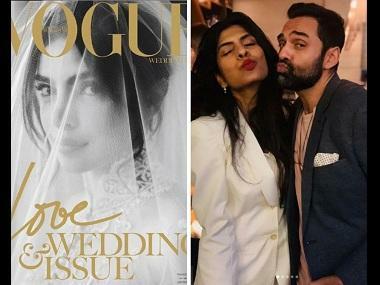 The Meri Aashiqui Tumse Hi co-stars Gautam Gupta and Smriti Khanna tied the knot on 23 November and their wedding reception saw the who's who of Bollywood in attendance. From Shahid and Mira Kapoor to Dia Mirza, Sussanne Khan, Esha Deol and more, the wedding seemed like an affair to remember. Deepika Padukone shared the most adorable pictures of herself and her childhood friend Aditya Narayan as the Padmavati actor put up a collage of their childhood memories. Dressed in colourful clothes, the two 'forever friends' are seen monkeying around in the snapshots. Katrina Kaif can kill it in any avatar, and this has been proven time and time again. The latest is Kaif's Instagram post of her dressed up as the quintessential Desi Girl and the actor looks stunning as per usual. Kaif will be seen opposite Salman Khan in the upcoming film Tiger Zinda Hai which is all set for a 22 December release.